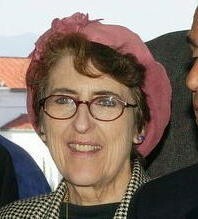 Former San Francisco Supervisor Carol Ruth Silver -- a part-time or one-time resident of Myers Flat, I'm not sure which -- has resigned from her job as Director of Prisoner Legal Services at the San Francisco County Sheriff's Office to protest the war on drugs. "I find it difficult to discuss the financial or child custody problems of a prisoner, when I cannot look them in the eye and justify their being in jail," she writes in her resignation letter . "His or her incarceration is as a result of their own actions, but much more so as a result of a mistaken, unfair, and unjust set of laws which criminalize drugs in our society, based on the failed model of Prohibition of alcohol which we enacted and then repealed." The letter -- which cites marijuana prosecutions in particular, of course -- is well worth a read. According to a press release, Silver will devote future time to working with Law Enforcement Against Prohibition .